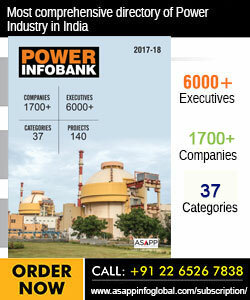 Power Today Magazine | "Solar and wind will become the new baseload of India"
"Solar and wind will become the new baseload of India"
"Diesel gensets are here to stay as power backup"
Antti Kami, Vice President, Engine Power Plants, Wärtsilä states that instead of curtailing solar and investing in new coal plants, the focus needs to be shifted on the efficiency of old coal plant and renewables. Could you brief us on the redeveloped Delivery Centre at Khopoli (DCK)? We have been in Khopoli for 30 years now, starting with engine manufacturing. I think it was in 1996 or so that we started manufacturing, mainly auxiliary units and modules for our power plant business globally. The DCK is the only manufacturing and assembling facility WSrtsilS has in India. The reason we chose Khopoli is because it is conveniently located between Pune and Mumbai. Pune is clearly the major engineering manufacturing location in India and we have a competent workforce available there at competitive cost levels. We are very proud of our DCK, which is a state-of-the-art facility where we assemble most of our auxiliary units worldwide. Over the last year, we have manufactured 7,000 MW of auxiliary units for power plants and at a global scale, we are competitive. We have 100 Indian professionals working at the DCK who manufacture the auxiliary parts and also assemble gensets for the Indian navy. At the moment, we already have some deals to implement. It is more of a multi-purpose setup. However as of now, we are looking at the possibility to expand the portfolio to other products also. It is 100 per cent owned by WSrtsilS. Any expansion plans on the line for the DCK? There are no plans for expanding or setting up more delivery centres other than Khopoli at the moment. Instead, we are focusing on developing Khopoli further. We have plans to broaden the portfolio of our products that we assemble there. At the moment, what is the global power market looking out for? First of all, it is the renewable and the reason is that the technology has advanced so much that the cost has come down. The solar panel cost has dropped dramatically in the last five years. The same is with the wind plants. We are not speaking in some percentages here but it is many times cheaper than what it was five years ago. The cost level at the moment is entirely different than what it was 5-10 years ago. And that's why renewables are getting into the market. The second reason is the constant concerns over climate change. It needs this change to get rid of the fossil fuels in order to stop the pollution. How is WSrtsilS trying to meet the demands of the power sector? We try to serve the market and the customer the best possible things that they need. We are extremely active in developing our technology towards the market needs and global requirements. It is clear that in many parts of the world, the energy demand is increasing and the demand for this is met by renewable energy. We understand that WSrtsilS's main aim is to provide reliability for the power system. We develop our technologies towards this need, mainly storage and gas engines. We have done a lot of funding in the R&D area in this respect. We have built biofuel plants as they are synthetic fuels. So for the renewable fuels to last 100 per cent, you need to have a flexible backup power that can be run by synthetic fuels also. You can produce synthetic gas and this can be then used in engines. So even if the customers' build a gas plant today, it can be converted to run on synthetic fuels in the future. In the US, they are aiming for 100 per cent renewable and in some regions, they have already managed to do so. They have wind and solar and now there is a new power plant which is running on biofuel. India is on the verge of a revolution in the power plants segment. How is WSrtsilS servicing the needs of this emerging segment? When it comes to power plants, we are the leading manufacturer of gas and diesel engines. We are ideally into building engine-based power plants, so we have the leading technologies on our core products, WSrtsilS. For these engines to function well, it needs to have auxiliary process systems connected and that is where Khopoli comes into the picture as it assembles the manufacturing auxiliary systems which processes the fuels and loopholes. It is our prime need to function properly and these auxiliary units are WSrtsilS-owned technology that is developed over the years. 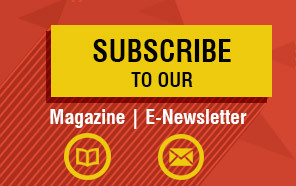 What are the challenges or key concerns of the Indian power sector at present? I am not a specialist on the Indian market, but I know that India has been in turmoil in the power sector. Either the gas price has been high or the gas has not been available for building gas-based power plants in India. This is one thing that needs to be solved. I think Liquefied Natural Gas (LNG) will play a big role in the future. So we are also looking at the opportunities of gas plants which are based on LNG. This could be a good option for flexible power. Speaking about backup power, it is not baseload so it is not running all the time. It runs only when needed, provided the reliability of the grid. The cost of gas is a less concern and it is a better option than using coal for the flexibility because taking down the load on coal power plants is that the efficiency is a lot low. Also, I have heard that in some parts of India, solar is already being curtailed down in order to keep the coal plants running at a minimum load. This does not make any sense. I think India should not continue the path to curtail solar which is the most environmental-friendly and cheapest way to produce energy. Instead, India should find ways to keep coal plants running on full load. There is also a possibility that old coal plants may be shut down and many countries are doing that. Like in the US, they are shutting down old coal plants and not even building new ones. That is what is important- to not build new coal plants because it would be then cycling it inefficiently. Instead, bring more solar and wind and then having the flexibility buy the gas engines and storage. Elucidate the potential for energy storage in a country like India. We are majorly into the energy industry. At the moment, the entire power industry throughout the globe is under a revolution with renewables coming up in the market. Our vision is 100 per cent renewable. We foresee that renewables, especially solar and wind will become the new baseload and in many parts of the world, they are becoming close to the baseload. Of course, things with India are a little different. It is a long journey, but it has started and India is following this path along with the rest of the world. Solar power is one of the cheapest sources of energy in India. But it needs a balancing power and backup power. There are energising gas power plants and they will play a critical role, provided backup and balancing of renewable. There are new technologies coming up like storage, where we also acquired the creation in the storage company last year. And now, we are developing that business as well. If you see, the core technology that we have in the house is the storage, and the integration of the storage systems and our gas power plants. We play a major role in the new energy system. Old traditional baseload plants like coal will be less built because they are more inflexible. What they need is the flexibility to provide the reliability for the power systems. Do you think energy storage has become a complimentary solution to renewable energy? It is definitely starting and it is at the beginning of development. So far, energy storage is on a small scale but we expect that it will grow exponentially in the future. Of course, it would require the cost of storage to go down and eventually more and more flexible solutions will come for energy transfer. However, storage has limitations. Today, storage has a maximum limit of four hours economically. A lot of technology is required to cover 8-10 hours, in order to transfer solar from day to night. That's why the first step in storage is to get a daily backup. For seasonal backup, you need other technologies like engine power plants for longer-term backup. How has the Make in India campaign boosted the demand of Wärtsilä products? It has definitely helped to some extent. We mainly needed it because the Khopoli facility is more of an assembly and not a manufacturing one. It is an assembly where we import some key components from Europe and then export it to other countries. So the Khopoli facility is mainly for our global operation and the key benefit of Make In India is on the taxation side. We don’t have incentives on taxation and that is the main benefit. Otherwise without these incentives, probably Khopoli would have not been so feasible. Lack of coal supply is a major hurdle in the power sector. Do you think India has a definite solution to this problem? Speaking of the inefficient old coal plants in India, especially if there is no coal, then the best option is to shut it down and instead, build solar and invest in our technology for the pack up. Lakwa is a good example in India and we have multiple examples outside of India as well. For example, in Australia, we recently signed the ATL major utility in Australia which is now a 200 MW plant. This utility had an existing coal plant; they had two options, either expands the existing coal plant or invests more in renewables and use our technology for flexible power. The decision was to use renewable and our technology. In the US, we have multiple similar examples. I think sooner or later, India will also follow this path. We have a realistic motto to get there. And the good thing is that it is not depending on any government subsidy. It is based on green values, it means the US dollars, so it is based on the finance visibility. It is more or like based on the capitalist terms that money talks and you go build one because it makes financial sense. I think people should stop building coal plants, instead use the existing one more efficiently.